For those of you who have somehow missed it, on Monday it emerged that 482,000 diesel-powered Volkswagens will be recalled in the USA because software in the ECU of their engines was found enabling the cars to cheat American emissions tests. The so-called defeat device found in the EA189-engined VWs was able to recognise when the car was undergoing NOx testing, cutting emissions in order to pass the stringent US standards. On the road however, the software would allow the cars to exceed the emissions standards by between 10 and 40 times, producing a vast amount more pollution than testers were led to believe. Understandably, governments, other manufacturers and VW customers were outraged at the news, with Volkswagen Group shares plummeting when the news broke, leading to the resignation of VW CEO, Martin Winterkorn. However, it is not just the Wolfsburg carmaker that has been affected by this scandal. As a 50.7 per cent stakeholder in Volkswagen AG, Porsche Automobil Holding SE – the company that also holds a 50.1 per cent share in Porsche AG – also saw its share price drop on Monday. 2015 profits will surely take a hit after parent company, Porsche SE’s share price dropped by 30 per cent. With further dips yesterday and today, Porsche SE is currently trading over 30 per cent below its index price from last Friday. That is a huge hit to the company’s worth and one that will not be viewed lightly by the Porsche and Piëch families. What’s more, despite a number of large management changes, the market still seems unable to decide whether both Porsche SE and VW are going to show any signs of improving, at least in the short term. The market’s uncertainty is no doubt fed by a number of major managerial changes that look set to be coming the way of Porsche AG (even though, as a company, they have done nothing untoward). As mentioned earlier today, due to his role as Head of Engines and Transmissions at VW, Wolfgang Hatz looks set to leave the company entirely and, with the rumours strengthening even more, Matthias Müller is believed to have agreed terms to become the new CEO at Volkswagen. Hatz’s exit is a massive blow to the company as he is a man with real passion for exciting cars; he oversaw the 918 Spyder project and was also at the heart of the recent Mission E concept car. Porsche will undoubtedly continue to break new ground without him, but maybe not at the rate it recently has. The loss of Müller though may be felt even more keenly however. Under his stewardship, Zuffenhausen has thrived, the 62-year-old German leading Porsche into new ground with the Macan SUV. Matthias Müller has been a charismatic figurehead and successful leader for Porsche AG. He also enjoyed a very strong relationship with the Porsche and Piëch families. This meant that Porsche AG has enjoyed much freedom within the Volkswagen/Audi Group, allowing it to maintain a distinct character. On this latter point, it is likely that Wolfgang Porsche will, on a personal level at least, want to see even more separation between Porsche AG and VW. After all, it is his family name that has been dragged into the mess by Wolfsburg, not the other way around. This could be a blessing in disguise for Zuffenhausen, especially as there is a passionate minority of Porsche fans who feel that the latest 911s have become too Audi-like. What Porsche will want to avoid though is rocking the boat too much. With two senior figures already set to make an exit (whether voluntarily or not), stability has been key to the company’s success. The financial hit to Porsche SE and VW Group will also likely have an effect on motorsport, something that is central to the brand identity of the Zuffenhausen manufacturer. Both Audi and Porsche are engaged in expensive LMP1 projects in the FIA World Endurance Championship and, while the latter recently reconfirmed its commitment until 2018, there may have to be a change of plans. 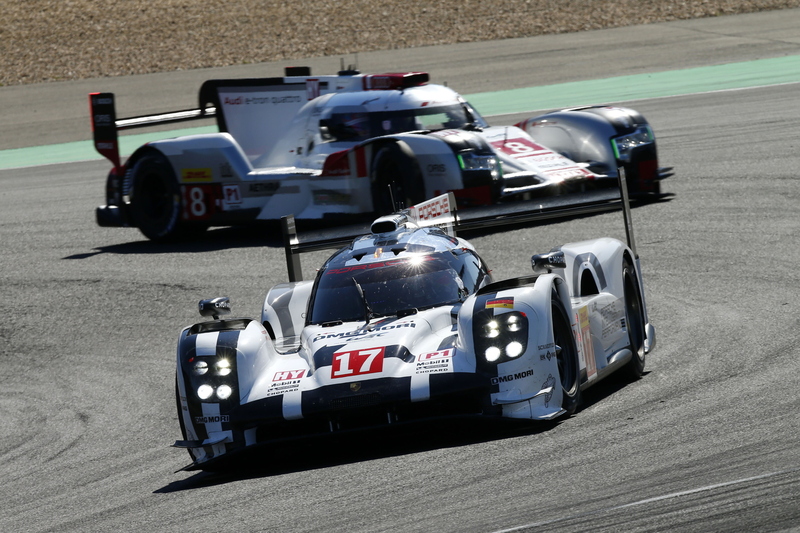 With two expensive FIA WEC LMP1 projects, will Porsche be able to beat Audi in the VW Group boardroom? Since 2006, Audi’s prototypes have run diesel engines and, while it is this very fuel at the centre of the emissions scandal, VW Group may want to continue the project in order to change public opinion and show that VAG is capable of creating efficient oil burning motors. Finally, as an economic relative of Volkswagen, it will be interesting to see how Porsche’s reputation fares in the United States over the coming months and years. VW Group’s reputation has been torn to shreds and Wolfsburg’s ‘defeat devices’ have almost single-handedly destroyed the reputation of German carmakers across the Atlantic. “Built in Germany” is no longer a synonym of “clever, efficient and well built”. As a key market not just for the 911 but also for Porsche as a whole, VW’s self-made scandal could see sales of Zuffenhausen’s finest hit in both the short and long-term. We keep our fingers crossed though that this isn’t the case. What effect will the VW scandal have on Porsche? Have your say in the comments below, or join the debate on our Facebook and Twitter pages.